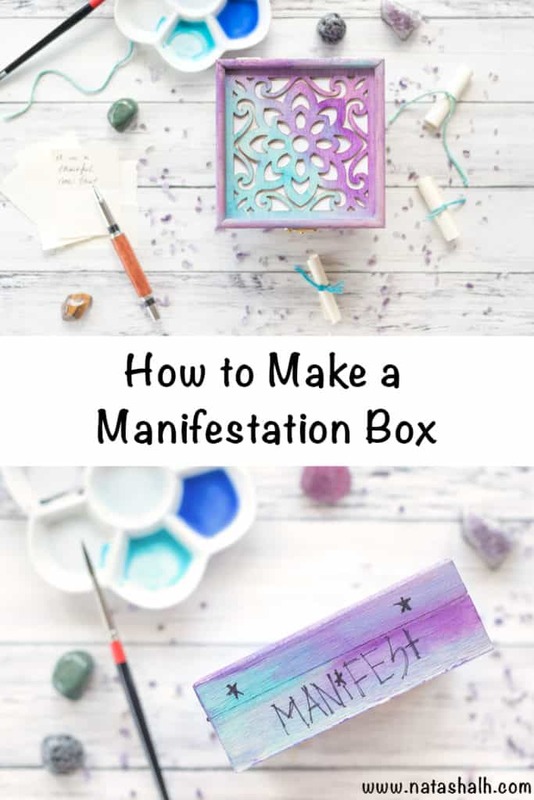 Today’s tutorial shows you how to make a manifestation box (or wish, prayer, or gratitude box! ), but really you could use the box for anything. It’s an inexpensive box from the craft store decorated with watercolors because, well, I love watercolors! It’s so pretty and easy to customize – I hope you enjoy! I decided to turn my watercolor wood box into a manifestation & gratitude box because I am such a huge believer in the power of the human mind. I mean huge, big time believer! After all, I had a completely comfortable, non-medicated birthing time using Hypnobabies. How could I not believe in the mind’s power? 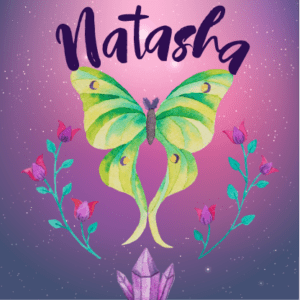 In addition to working with my Hypnobabies program, I also followed an affirmation ritual where I repeatedly expressed my gratitude for my easy, natural birth. I’ve used this same process a handful of other times in the past couple of years and it’s worked wonders. 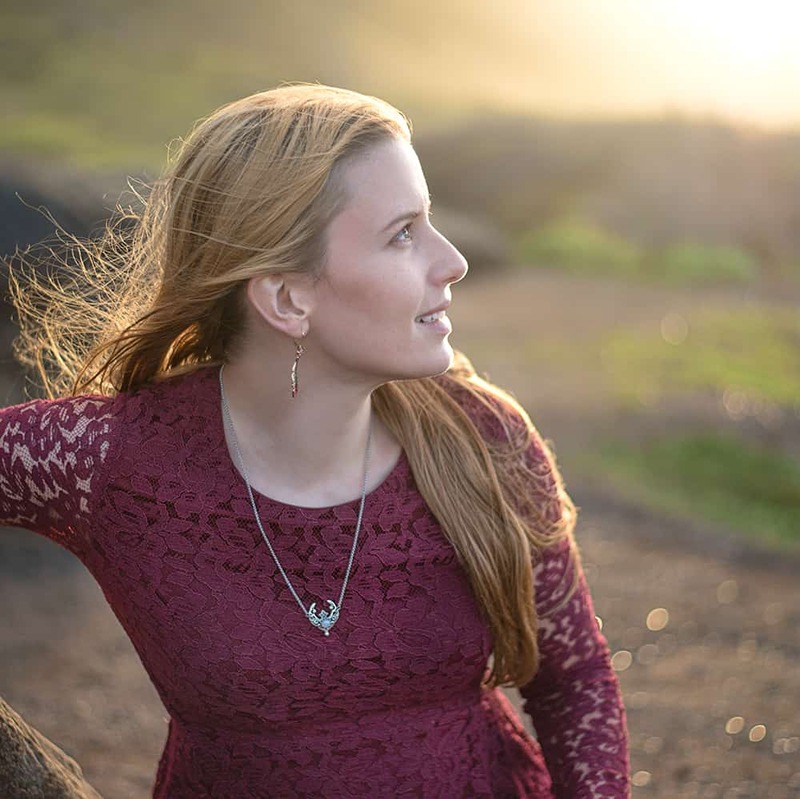 If you need some powerful manifestation help and are willing to commit time to your manifestations, look into a Freedom Mastery Law of Attraction Planner. A wood box! I used a laser cut basswood box from Hobby Lobby. Make sure that your box is something like basswood with large pores and that it isn’t finished or sanded too smooth. I’ve tried to watercolor a sanded pine board before and it did not go well at all! Watercolor paints. I used a light blue and a lovely purple (both are from the Prima The Classics palette). Well, quite simply, paint your box! As I said above, I used a combination of blue and purple. I allowed the colors to mix and mingle in some places, but left them pure in others. When you’re painting on wood, make sure to mix the paints up so they’re nice and thick because they’ll soak in a bit. I mixed the paints to about the same concentration as the very first line in each swatch in this watercolor transparency swatch class. After my paint was dry, I cut a piece of paper down to size and glued it inside the box’s lid for a lovely contrast. And that’s it! For a more detailed look at the process, please watch this video. 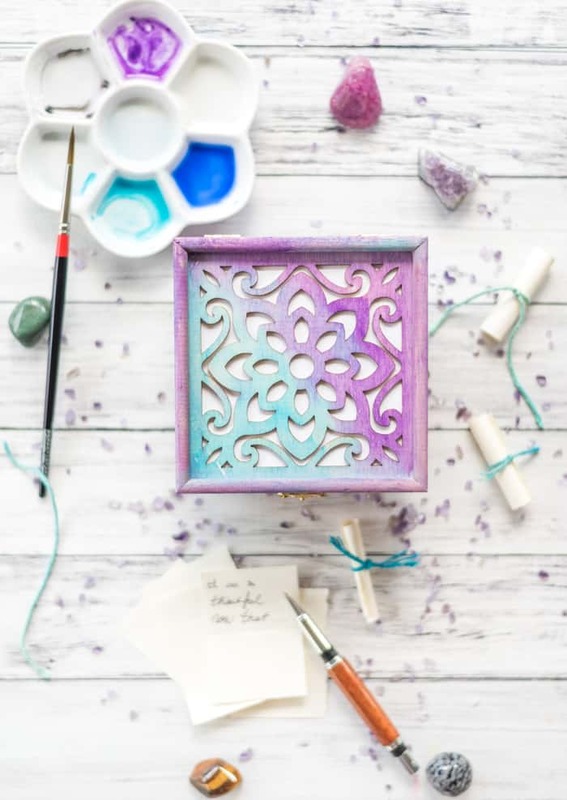 To use your lovely new watercolored wood box for manifestation, gratitude, prayers, or wishes, prepare slips of paper to write on. I find it really helps to cut up a nicer piece of paper instead of just notebook paper because it makes the process feel more special! Record your desires or what you’re thankful for and tuck them away in your box. You can take them out from time to time (some people like to review their gratitudes and affirmations each morning or night) and read them to increase and focus your positive energy! Some people like to perform a ritual each week where they burn their slips of paper. This signals trust in the Universe because you’re letting go of your request, secure in the knowledge that the Universe will provide. Whenever you’re writing down things you’d like to manifest, it’s very important to “live as if.” Write them in a positive way as if they’ve already happened! 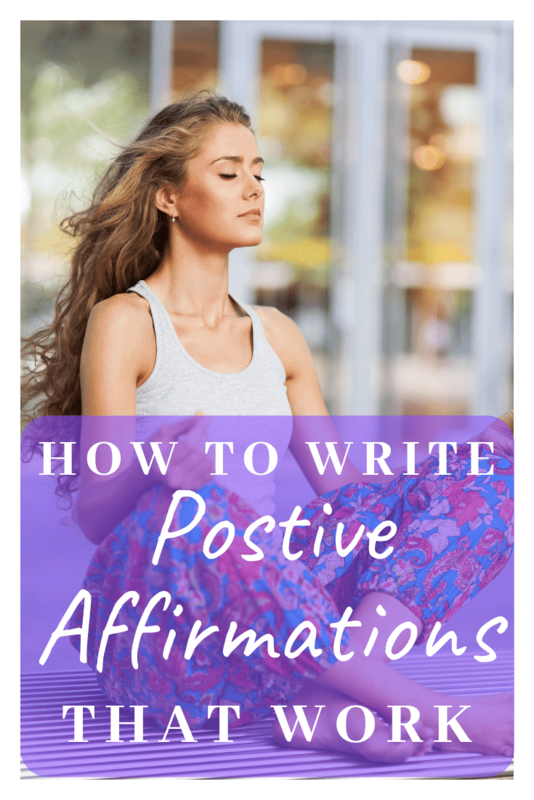 If you’re having trouble with affirmations, check out this complete guide to writing positive affirmations that work. 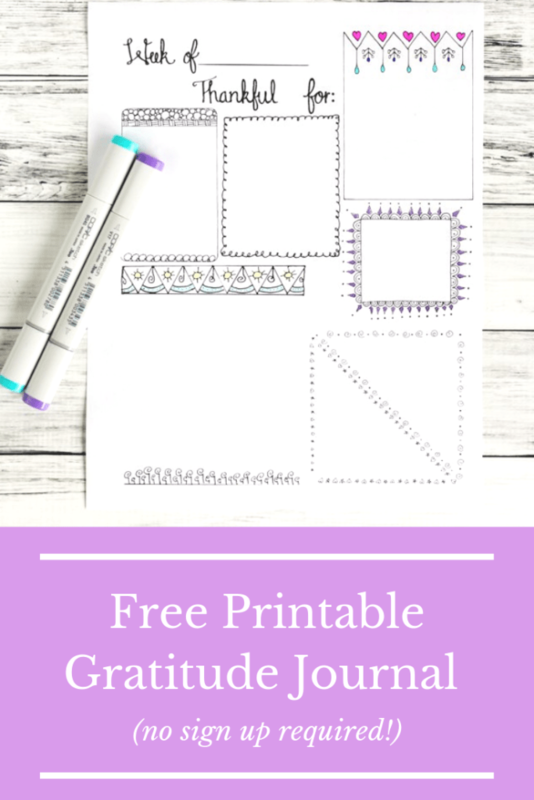 If you need more help on starting a gratitude practice, you’ll enjoy this free printable gratitude journal page! Have you ever used a manifestation or wish box? 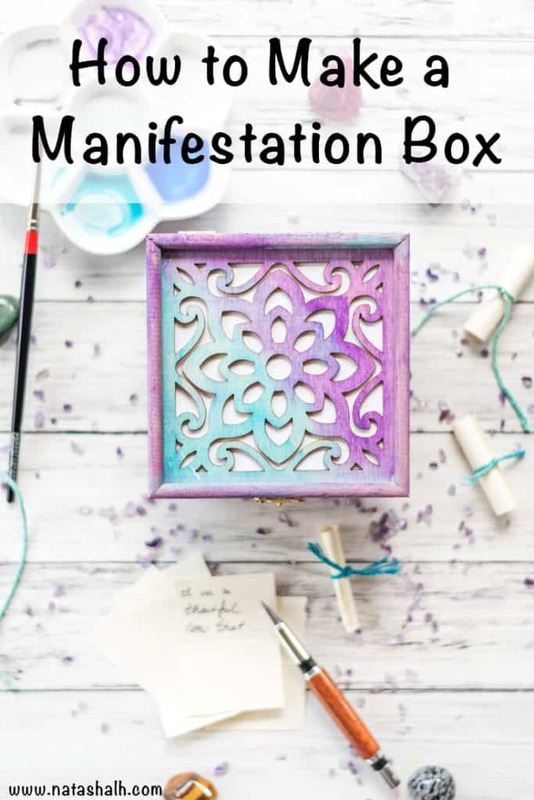 I love the idea of a manifestation box! I agree that the mind is powerful so we must be mindful with what we believe and think. Thanks for this idea and tutorial! The human mind’s power is truly impressive! I’ve made it to 5 days in a row without complaining, criticizing, or gossiping. Honestly, it’s been a tough week for me for several reasons, but my mindset has been very different from what it would have been a couple of months ago. I know this week would have been so much tougher with a complaint-filled mindset! Thank you! I’m looking forward to when my baby is old enough to enjoy painting!